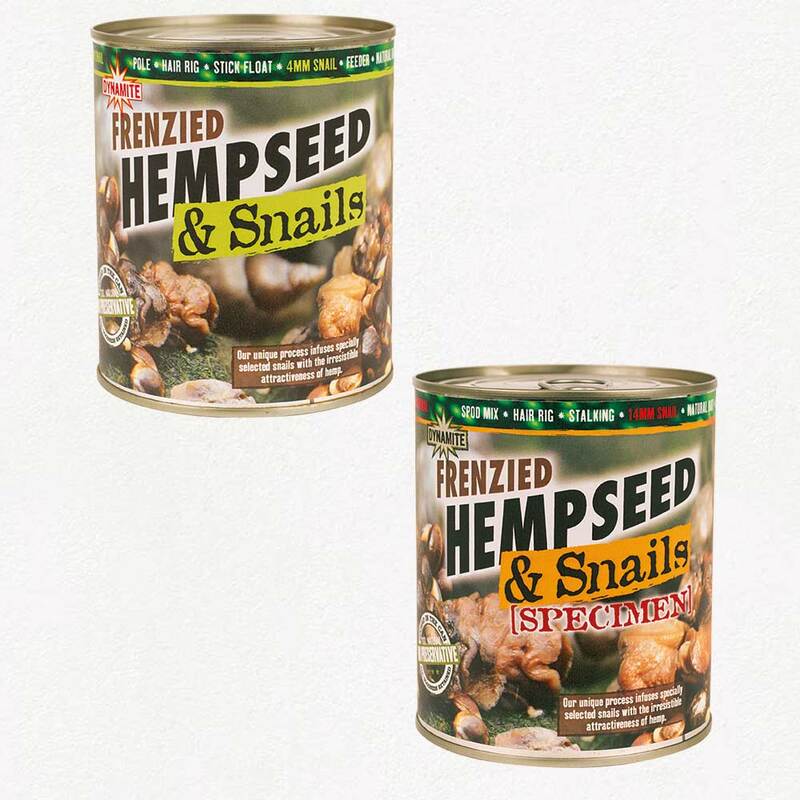 Freshwater snails make up a large part of a carp’s diet so it made total sense to develop a bait that harnessed all the natural oils found in our Frenzied Hempseed and add freshwater snails as a carrier for the attractors. Using the same process that we use to cook the hemp in the tins, our Hemp and Snails are as natural as they can be with absolutely no preservatives added. Available in 2 sizes 4mm and 14mm these snails make for a fantastic hook-bait option either as singles or two or three on a hair. All of the baits in the Frenzied range are cooked inside the tin so that all of the oils and natural attractants are retained, with no preservatives added.